Keeping the festivity going and making 2018 a grand affair, Vh1 Supersonic is all set to bring the biggest names for its 5th edition revealing the super line up for the gigantic 3-day festival. The 5th edition of Vh1 Supersonic will not only see some of the biggest names in the dance music and Independent Rock genre, but will also witness the legendary Dancehall Rapper Sean Paul set the stage on fire. Get jumping, as the Grammy award winner, instrumental for multiple chart toppers like Rockabye, Cheap Thrills to name a few, the legendary Sean Paul returns to India to up the ‘temperature’ of the festival. His distinctive rhythms, and unique voice has set him apart throughout his musical career. His immense popularity and talent has made him the only Jamaican artiste to have won an American Music Award (2006) for Favourite Pop/Rock Male artiste. 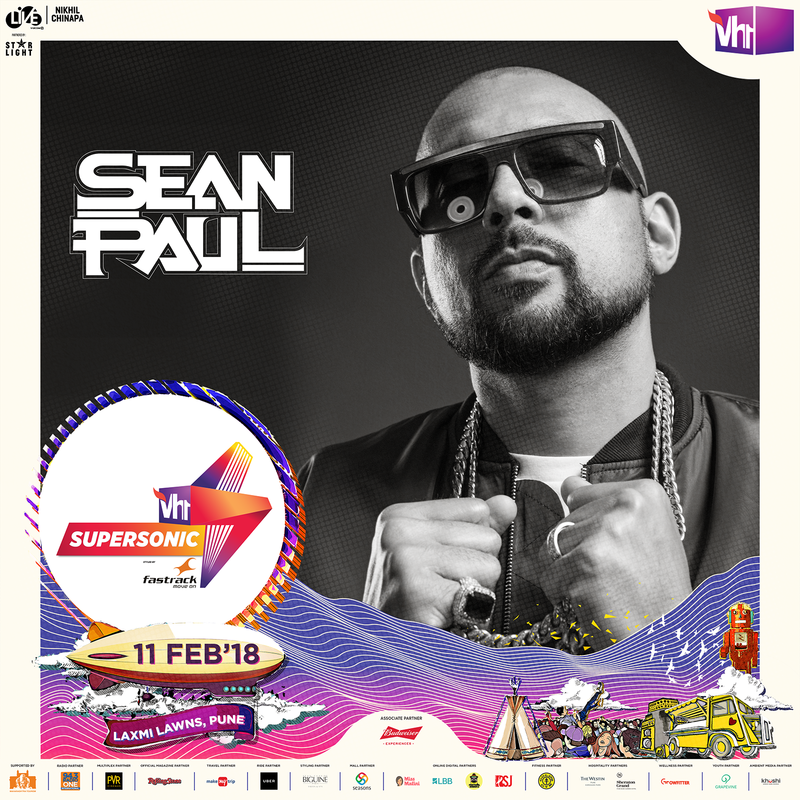 Commenting on the super line-up of Vh1 Supersonic 2018, Nikhil Chinapa, Festival Curator – Vh1 Supersonic said, “As our festival expands its horizons, I’m very pleased we’ve been able to include the Jamaican superstar and global pop phenomenon Sean Paul, in our list of headline artists. Sean Paul’s discography and his list of collaborations read like a highlights package of global Top 10 hits. That’s not all! As audience enjoy the mammoth artist line-up across three days of Vh1 Supersonic, the festival will surprise them with an extra grand super flea and food market dawning oasis into the festival walls. 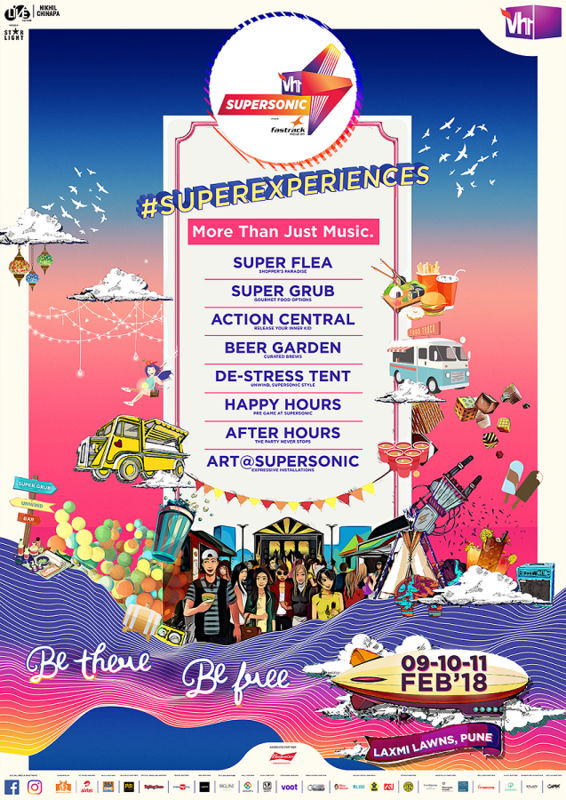 The festival will set up a #SuperFlea -The shopper’s paradise, with gourmet food and cute merchandise, coupled with comfortable and quirky chilling spots. Going #Artsonic, Vh1 Supersonic also partners with The Symbiosis Institute of Design to create installations all across the festival arena. Vh1 Supersonic raises the bar even higher than the previous editions, with their experience zone including multiple games, and a beautiful beer garden setup. There will be special arrangements for the Specially-abled in association with Enable Travel, from Volunteers to Elevated platforms and ramps. Because staying hydrated is a must, free water will be available all throughout the festival. 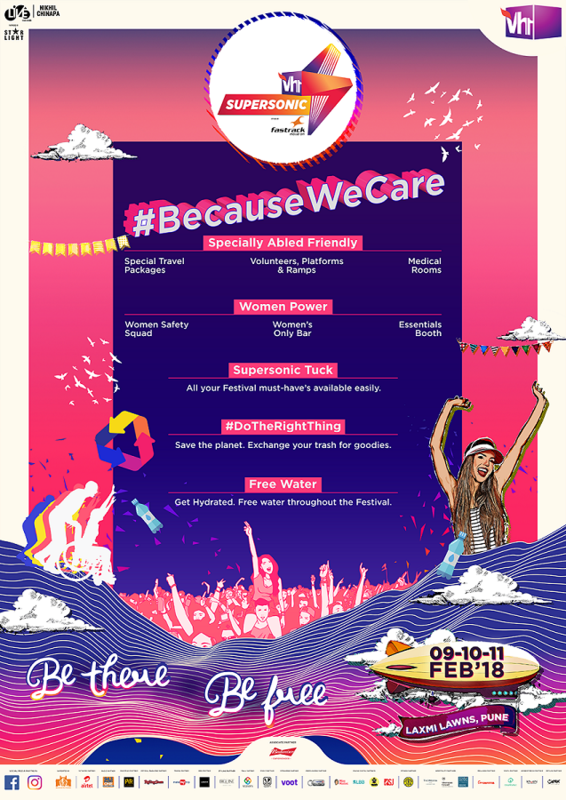 Vh1 Supersonic also ensures extra special arrangements for the #SuperWomen, with women only bars equipped with Beauty Booth, encouraging new reforms with Pee-Buddy available and Special Women Safety Squad patrolling the festival grounds. To top it all up, Vh1 Supersonic also ensures that the party never stops! Post festival hours, festival goers will be treated to perfectly programed After-Hours, 10 PMonwards each day. The festival also introduces Happy Hours between 2pm and 04:30pm to give visitors all the more reason to keep the festive mood going. Tickets for Vh1 Supersonic 2018 available from 10th January on BookMyShow. Gear up for the best music & experience with the 5th edition of Vh1 Supersonic 2018 this February in Pune!